IGNORE DAYS ON MARKET! DAYS ON MARKET WERE WHILE HOUSE WAS BEING CONSTRUCTED. 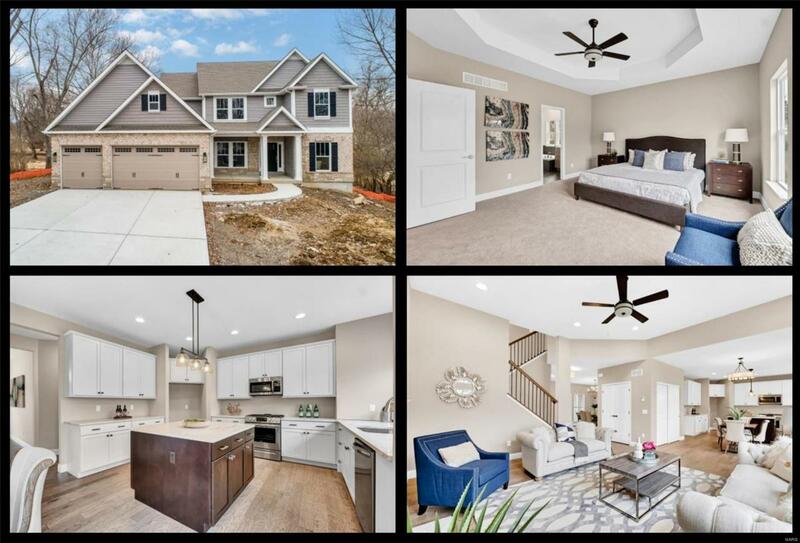 HOME WAS JUST COMPLETED!Gorgeous, Custom-Built Home in highly sought-after ROCKWOOD Schools! Open Floorplan offers over 3,200 sq ft of luxurious living space. Spacious layout offers designer upgrades: custom mill work, trim & crown molding, fireplace, hardwood floors, ceramic tile, gourmet-style kitchen w/ center island, granite counters, 42" wall cabinets w/"soft-close" drawers, stainless steel appliances, mstr suite fit for royalty w/oversized corner walk-in shower w/custom tile design, split double-bowl sinks, & enormous walk-in closet. Low-E windows, architectural shingles, & premium utilities are equipped throughout for energy efficient living. Home on quiet street w/easy access to shopping, dining, & highways. 3-car garage as an added bonus. Walkout basement will be unfinished, however there is opportunity to finish basement for additional cost based on private quote.